A man convicted of a hate crime after teaching his girlfriend’s pug to do a Nazi salute has bragged he’s still not paid the fine – and taunted police to ‘come and get me’. 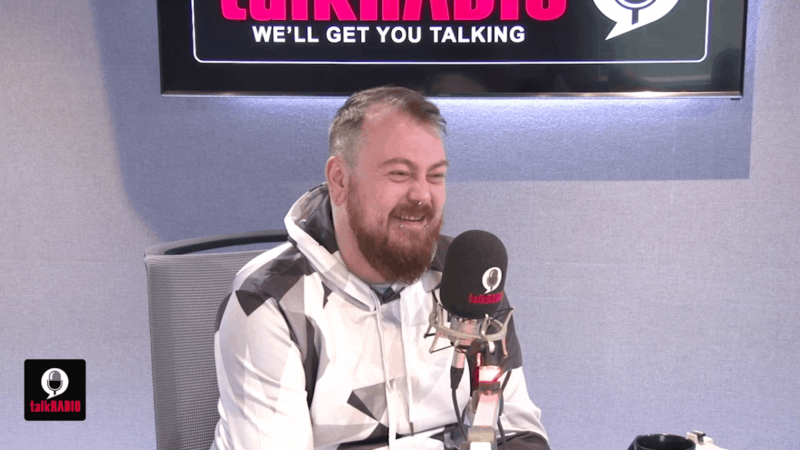 Markus Meechan also told talkRADIO the pet would be a ring-bearer at his wedding – and it will be dressed in a kilt. 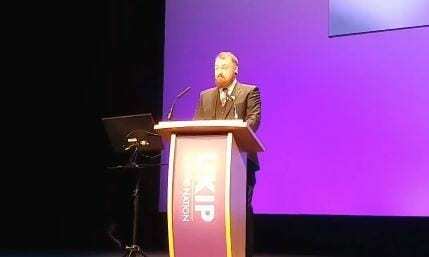 Last September we revealed how the YouTuber was invited to address the Ukip Party Conference. YouTubers Sargon of Akkad and Count Dankula joined Ukip together with controversial Alt Right figures Milo Yiannopoulos and Paul Joseph Watson over the summer, bringing an influx of more extreme members to the ailing party. 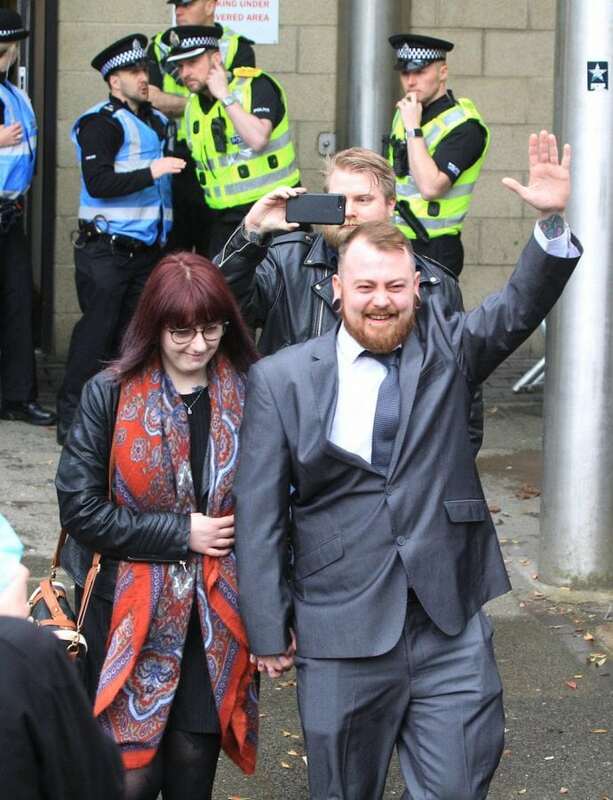 Meechan, who goes by the moniker Count Dankula, was fined £800 after breaching the Communications Act 2003 by posting the grossly offensive video involving the pet. In the video, titled ‘M8 Yer dug’s a Nazi’, Meechan showed how his girlfriend’s pug dog, Buddha, would perform a Nazi salute every time he used the phrase ‘Gas the Jews’. Meechan was supported during a trial at Airdrie Sheriff Court by right-wing former EDL founder and fraudster Tommy Robinson. Meechan set up a GoFundMe page to pay for an appeal – and raised over £100,000, but having been found guilty of a hate crime in communicating a video which was “grossly offensive,” Meechan was refused an appeal. Meechan said the letter he received stated that the appeal was “not arguable” due to the nature of the “deeply unpleasant offence”. Nearly a year after the fine was issued, Meechan publicly boasted that he still had not paid it. Meechan told the station: “I’ve still refused to pay the fine and it’s past the threshold now, so it’s now a case of waiting for the cops to come and get me. “I was literally convicted for causing gross offence which basically means I hurt people’s feelings. He insisted that the video did have comedy value. Meechan said: “A lot of people actually did [find it funny], you are getting the odd people that are trying to say I am secretly trying to spread Nazi views and all this type of stuff. “It’s just because they have no idea about the type of comedy we like on the internet. Meechan says investigators checked through his personal items and found nothing suggesting he was anti Semitic. He added: “They had gone through literally my entire online presence. Meechan, from Coatbridge, Lanarkshire, insisted he did not regret posting the video. When asked whether he regretted it, he said: “No, I don’t”. The Youtuber said: “Just walk away – if there is a comedy club you’re in, or a website you’re on, or a video you’re watching just walk away. He added: “Nobody is forcing you to sit and look at your computer, nobody is forcing you to consume this content, you get to choose it. 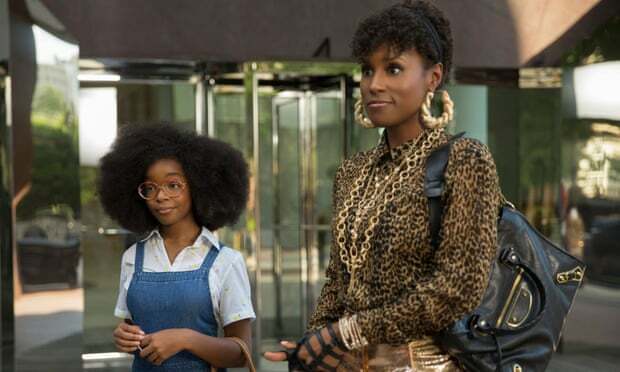 “So see anyone that actively goes out to find stuff that offends them, they bring it on themselves.